It was challenging to improve on Australia's best undersink filtered water system. But the addition of the Quadra Plus does just that. It was challenging to improve on Australia's best undersink filtered water system. But the addition of the Quadra Plus does just that. With its generous undersink boiling water reserve, Quadra Plus is ideal for kitchens, lunchrooms or breakout areas. 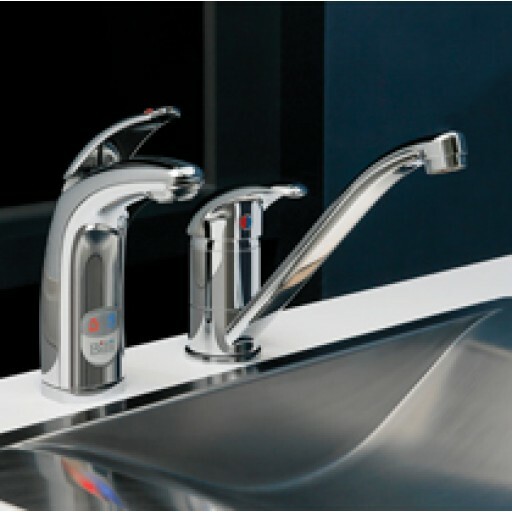 There's no need for a bulky, separate hot water service as your mixer tap instantly provides hot, cold, chilled or a generous supply of Australia's hottest water. For the ultimate in interior styling, try side-by side installation. Or remote position the dual temp dispenser to enjoy chilled and boiling water wherever you need it. Standby activates after a preset time and normal function automatically resumes at the touch of either lever. The clever communicator Quadra Plus almost speaks to you with its intelligent backlit LCD status panel. Quadra Plus displays everything from its daylight saving status to a full help menu. 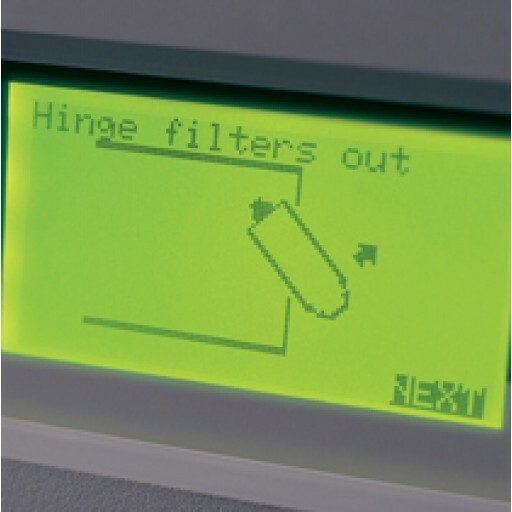 The simple graphic sequence steps you through a filter cartridge change or suggests a service call. The perfect accessory to your Quadra Plus dispenser Billi Font offers amazing flexibility. Not only does Billi Font allow placement remote from the underbench system you can even install Quadra Plus away from the sink. Freshness you can actually taste. Quadra Plus features our most progressive water filters for superior hygiene levels, extended service and better filtration. 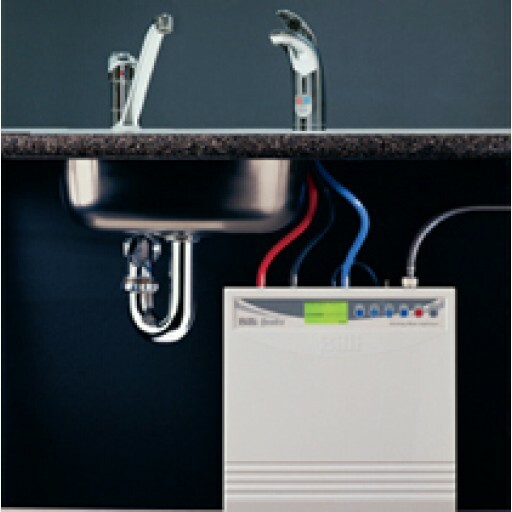 To prevent water damage your Quadra Plus features a water-tight base tray and built-in leak detection to shut off water supply. With its auto-calibrating temperature system Quadra Plus dispenses water within 1°C of boiling and offers the hottest mixer tap temperature available.